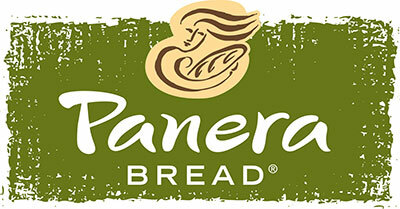 Panera Bread is building a north side location. The company has leased 14,200 square feet of land at 6550 N. Division. The new store will be in a retail center anchored by a Lowe's. Panera Bread already has two locations in the area, at 14716 E. Indiana just east of Spokane Valley Mall, and at 307 W. Prairie in Hayden. 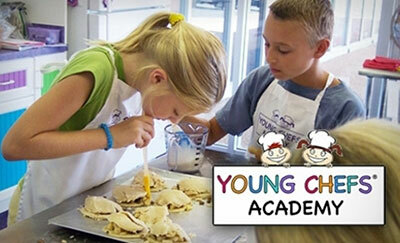 Young Chef's Academy is opening soon in the Prairie Shopping Center at Prairie and Highway 95 in Hayden. The location is in a former Mothers Cupboard store. Young Chef's Academy is a Texas-based franchise company that encourages children to become comfortable and experiment with discovery and creativity in the kitchen from a young age. They will hold weekly classes and workshops as well as special events like birthday parties and camps. The website is coeurdaleneid.youngchefsacademy.com. 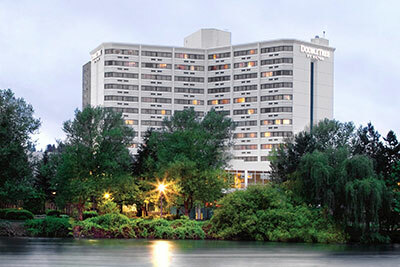 Spokane's DoubleTree Hotel at 322 N. Spokane Falls Blvd updated their main guestroom areas a few years ago and they just converted all the rooms to keyless entry, which allows guests to use their smart phone for self check-in and access to their room. Now DoubleTree is starting a $1.3 million project that will update 375 guest bathrooms in the downtown hotel. Case & Associates, begins work on the bathrooms on the top six floors this week, gutting the bathrooms, and installing new fixtures, tile and trim, and painting. The first phase of the project is expected to be finished in January. The rest of the bathrooms will be completed next year. Retailer 19Ninety Apparel and More, which sells new clothing for women, will occupy the space at 12109 E. Sprague Ave. Another section of the store will offer merchandise and services of West Coast Screen Printing and Embroidery. The Spokane Conservation District is holding their annual Farm & Food Expo this Saturday, November 5 at Spokane Community College (LAIR Bldg 6). With support from Washington State Conservation Commission, the Office of Farmland Preservation and Spokane Conservation District, this Expo will be offering over 90 classes to provide attendees with food, farming, and conservation education. In addition, Spokane Conservation District has brought in Joel Salatin, nationally recognized, author, farmer and champion of small farms to teach an entire track during the day conference as well as keynote speaker at the evening session which will be held at Gonzaga University's Hemmingson Center. Spokane Conservation District welcomes the Veteran community to come and learn more about the Vets on the Farm program, and to attend the screening of the film, Ground Operations - Battlefields to Farmfields. This story depicts the growing gap in American agriculture that is being filled by post 9/11 Veterans transitioning out of their military careers. Registration required. Scholarships are available for students and Veterans. The Expo runs from 7:30am to 4:30pm, cost is $125, includes lunch and evening keynote admission. The evening event will start at 6pm, located at Gonzaga University Hemmingson Center, cost is $45 adults, $35 students, group discount rates available. For more information and registration contact Erica Johnson at 509-535-7274 or visit www.SCCD.org. Christian Brothers Automotive, a franchise business out of Houston, is building a 5,200-square-foot automotive service center at 23819 E. Appleway Avenue in Liberty Lake. Christian Brothers, was founded in 1982 by Mark Carr and a partner, and began franchising in 1996. The company now has more than 150 auto repair franchise locations in 19 states across the U.S.
Former longtime managers of The Melting Pot in downtown Spokane, Kim and Hollis Silva, recently became the restaurant's new owners. 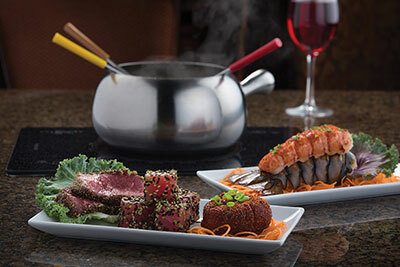 The Melting Pot, on the second floor of 707 West Main, is a fondue restaurant chain offering heated pots of cheese, chocolate or broth for dipping and cooking. The phone number is 509-926-8000 and the website is meltingpot.com. Encore Events will host the second annual Decadence! 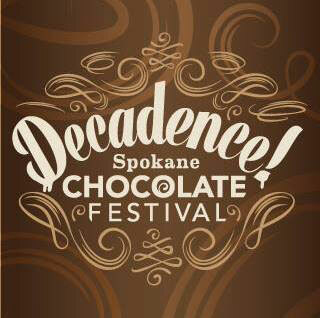 - Spokane Chocolate Festival on Friday, November 4 from noon to 9pm at Chateau Rive at The Flour Mill. Decadence!, a First Friday event, will feature chocolate indulgences both sweet and savory, live music by Evan Denlinger, and a bit of chocolate education. The event features local and regional chocolate and confection companies who will offer for sample or sale everything from ice cream, baked goods, and s'mores, to chocolate essence oils and vinegars. You'll even find chocolate relaxation at the Brickhouse Massage and Coffee Bar booth. Professor Monica Leeds Stenzel will give a humorous and educational talk on the history of chocolate titled 'Chocolatolgy: A BitterSweet Bit of History'. Cost is $20. 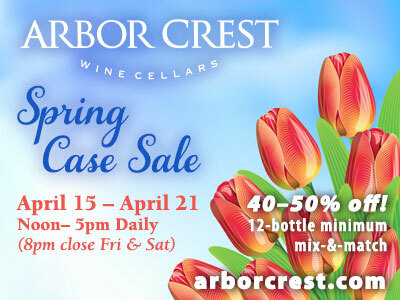 Special 'Afternoon Only' pricing is $10 and includes admission between noon and 4pm only. 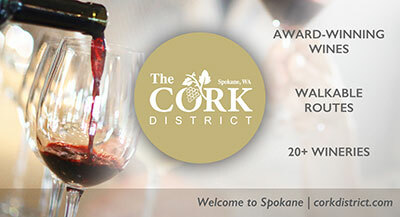 Tickets are available at www.decadencespokane.com. After two rounds of construction, Huckleberry's Natural Market at 926 S. Monroe Street, is throwing a Homecoming Party, a week-long sale November 2 through 8. In August 2014 construction slowed traffic just south of the store as the city worked on the intersection of 14th and Monroe. For three months, Monroe Street was closed in front of the store from 8th Ave to 14th Ave. This summer's project on both Lincoln and Monroe has included inconveniences like street closings and turning Lincoln into a two-way street while Monroe was closed. To make matters worse, the construction was extended from July to late October. The store's assistant manager, Josh Davidson said, "When life throws you lemons...you make lemonade. For Huckleberry's...it's organic lemonade."